As the craziness of the winter months is coming to a close, I like to take the small amount of free time that I have to reflect on the many beautiful events and moments I have had the pleasure to join. I make it a priority to participate in as many non-profit events as I can in a year. One event that I always look forward to is the Stars for Wishes Gala. Stars for Wishes is a fundraising event that is put on by Make-A-Wish Middle Tennessee, in an effort to raise money to grant wishes for children with life-threatening conditions. As most of you may know, Make-A-Wish Middle Tennessee was founded in 2000 and has already granted over 1,400 wishes for children. Granting wishes, gives these terminally ill children a chance to live in the moment, and most importantly give them the hope and strength to endure those long hours in the hospital. It overwhelms me with pride to be apart of an event that strives to do this. Even just a simple smile, like from the girl below, proves to me that I am apart of something great. 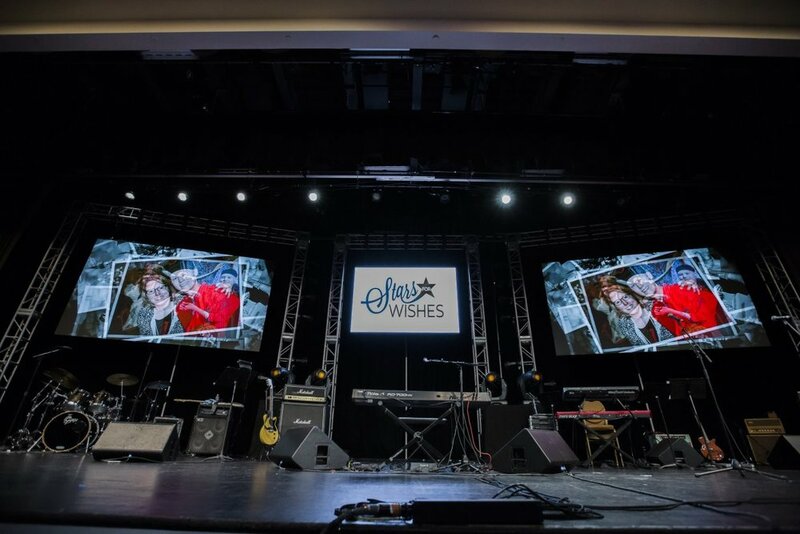 This year, the Stars for Wishes Gala celebrated its 5th year in Nashville. The evening was so special for me because unlike the years before, I was asked to participate in designing the main event. In the years prior, I had the pleasure of designing the after party event. However, this year myself and other local designers were given the honor of collaborating for the main portion of the event. Needless to say, you can tell in the picture below, I was floored with excitement! 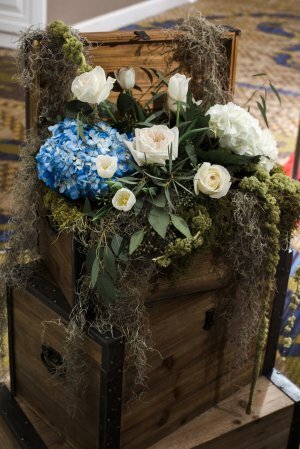 Our mission this year was to take lead on the décor of the entire event. We aimed to create a warm and stimulating environment for each and every guest. With the help of other talented collaborators such as the Graceful Table, Visual Elements. 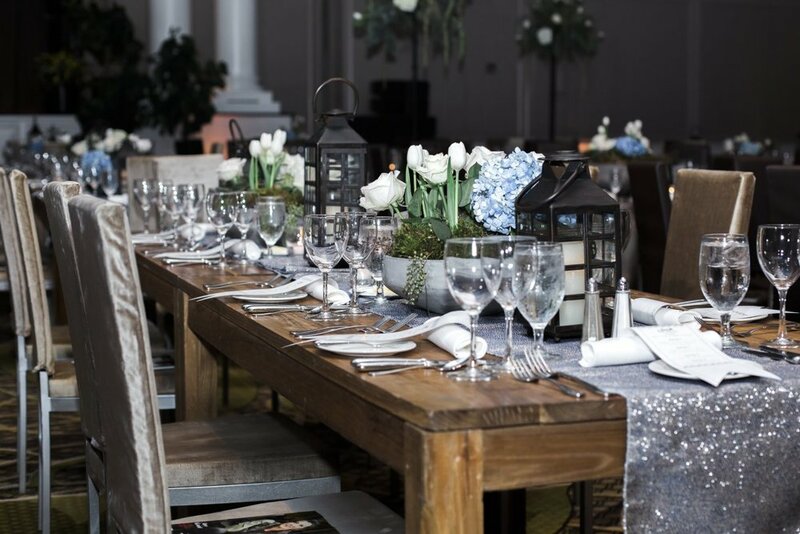 T. Villager Designs, CORT Furniture and Music City Tents and Events, we transformed the Gaylord Opryland into an elegant vision of modern eclectic with a rustic element. In order to achieve that, we paired modern furniture, accented silver lighting, and wooden side tables. 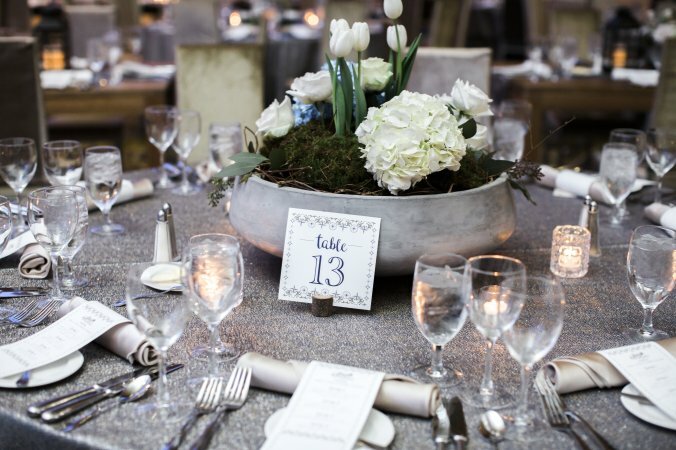 For color we used deep blues and silver sparkled linen to deepen the magical color pallet of the night. Floral is an aspect of design that is huge for me. I believe that stimulating guests’ sight and feel is just as important as stimulating their sense of smell. Therefore, I explained to the event florist that I wanted tall iron stands with floating center pieces to give a look of grandeur without taking the attention of the entire room. If you know me, you know that I believe true beauty lies in creating details that will provide the entire room with balance and comfort. For the silent auction, our challenge was to decorate 37 tables and provide a fully serviced bar for 700 guests. We decided that the bar would be our focal element of the room. You can see in the picture below that our copper bars and the grand iron tree embellished with gorgeous floral completed the scene. After hours of planning and designing, it was time for the show to begin. The evening was entertained by show host Blair Garner and world famous musicians, Brett Young and Jonathan Cain. We dined mouth-watering dishes from Chef Matt Bolus and listened to heart-warming messages from families and supporting organizations. My favorite portion of the event was a special performance from Wish Kid, Tarin. He is such a brave and inspiring little soul. After the auction, the late party events wrapped up the evening. It’s at the end of the night that I run a mental overview of the event and think about how I became apart of something so much larger than myself. It is because of my position with the International Live Events Association or ILEA, that I was given this opportunity. ILEA partners every year with Make-A-Wish to make this event possible and every year I am more and more amazed at the hundreds of people who ban together to make it possible. I am so lucky to have a career that provides me with these special moments and I love getting the chance to share them with you! 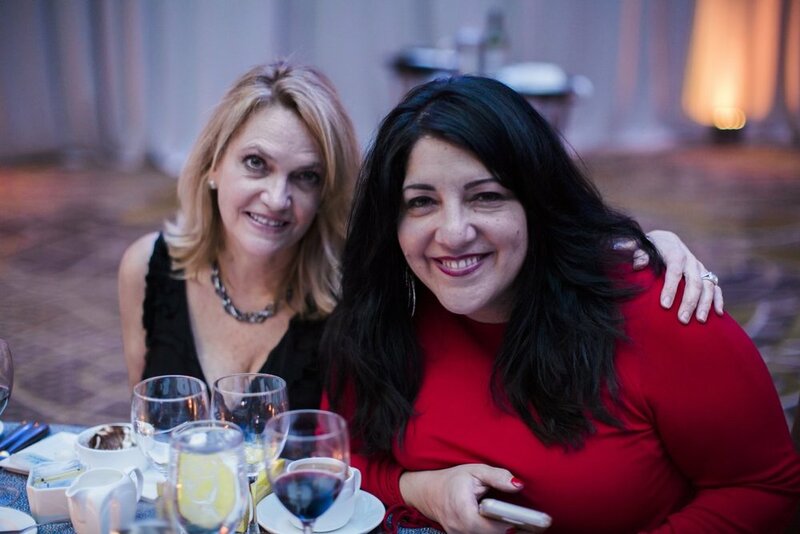 A special thanks to the photographer Abigail Volkmann who captured the beauty of this event and the LDE Team who helped me put it into words. Stay tuned to read more of the many events I get to plan. And remember, it’s never to late to change a child’s life and contribute to Make-A-Wish foundation of Middle Tennessee! Comment with any questions or follow me on Instagram @lauriedeanneevents. Be sure to check out other posts on my page!